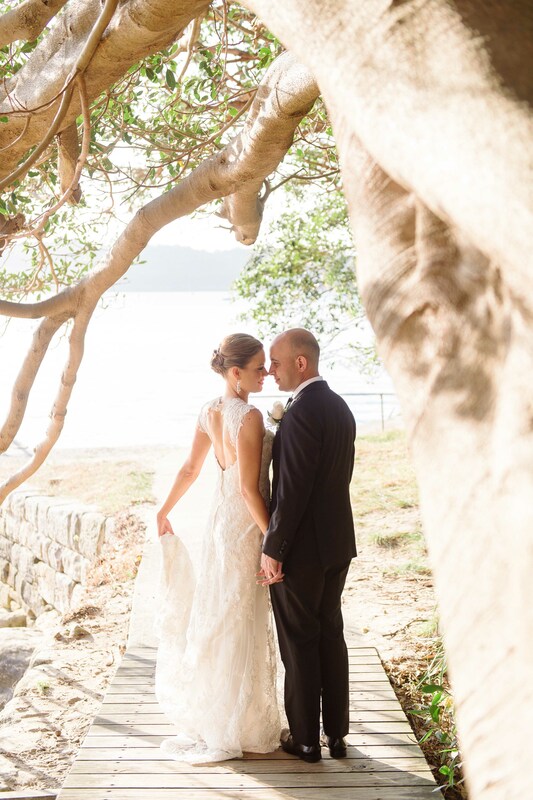 The glorious weather and balmy holiday feel of the summer months makes them ideal for a relaxed seaside wedding like Dave and Erin’s. 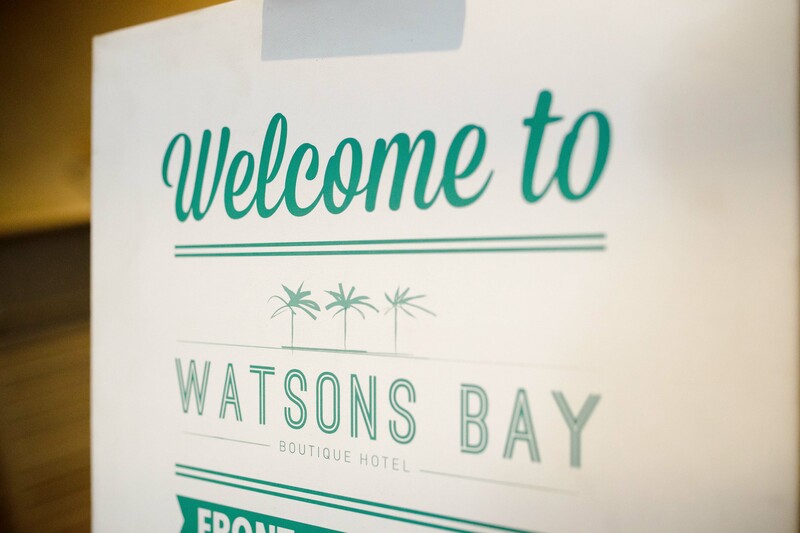 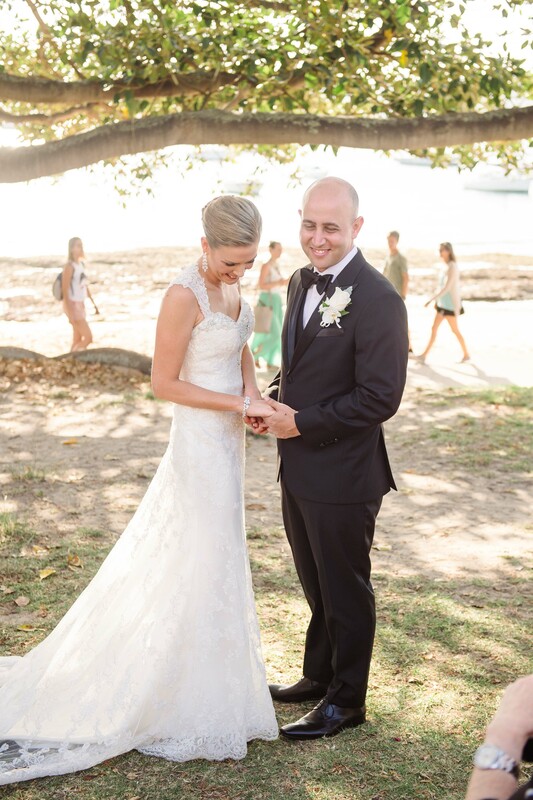 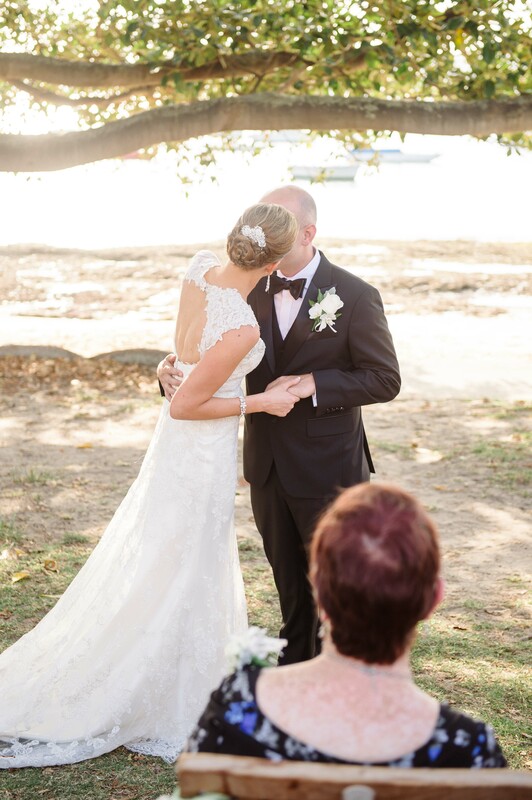 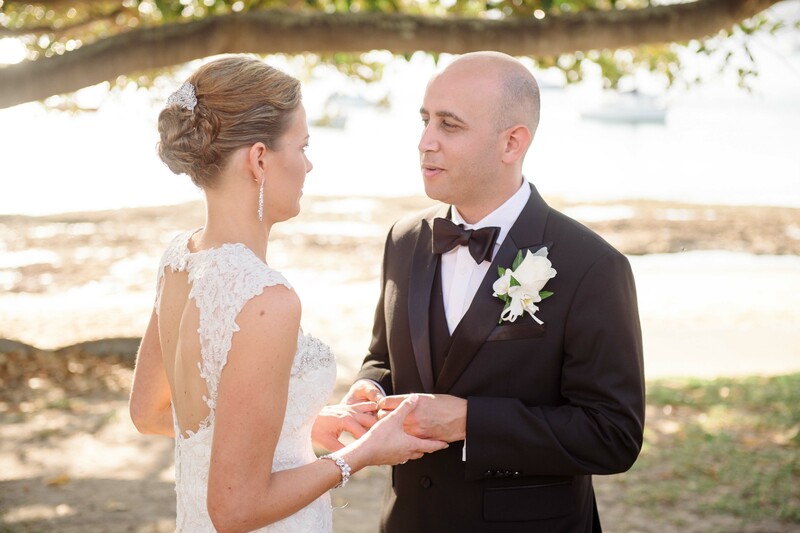 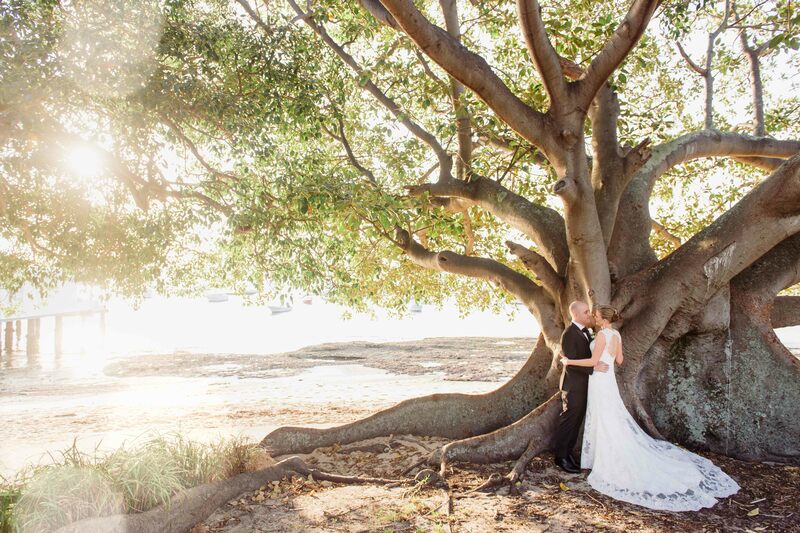 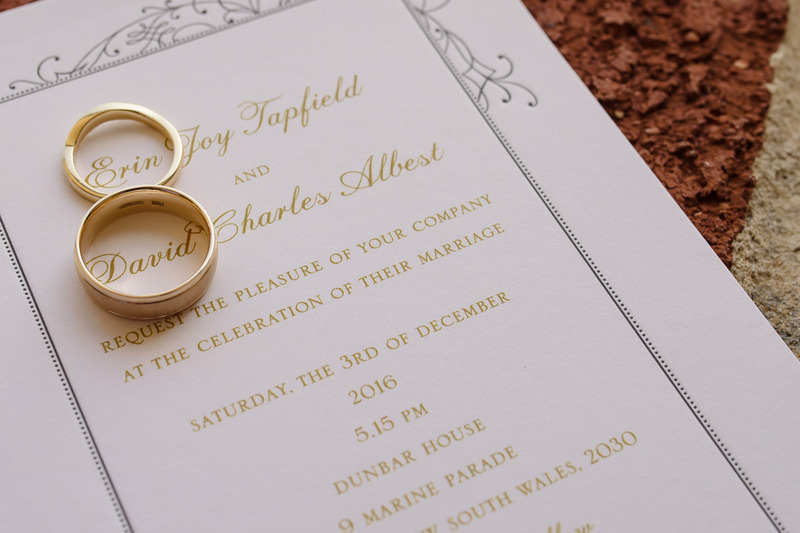 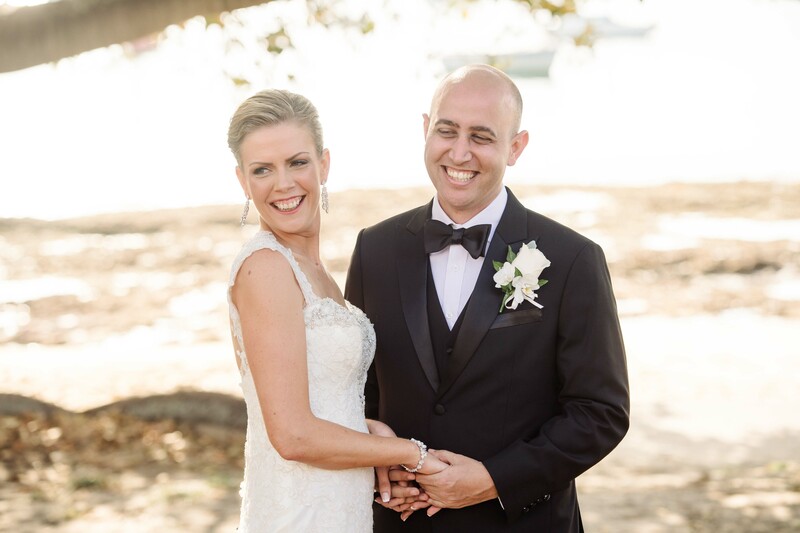 The couple were married in an intimate ceremony beneath the old fig tree on the shores of Watson’s Bay. 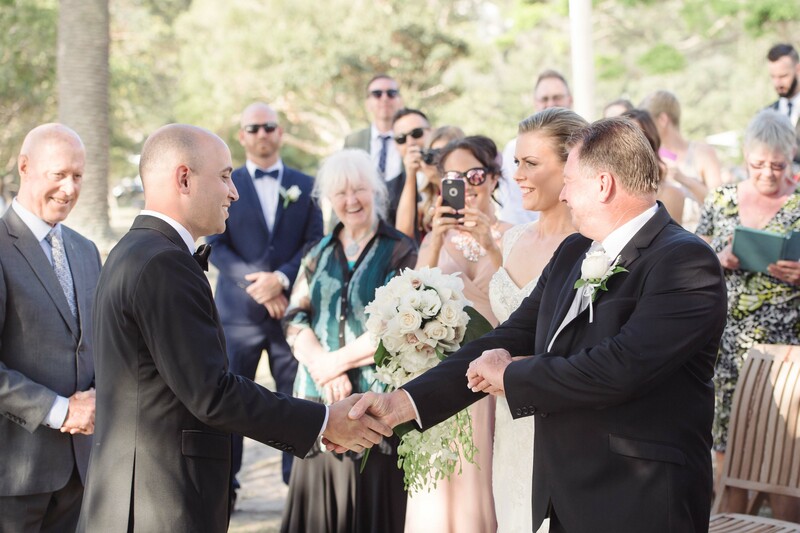 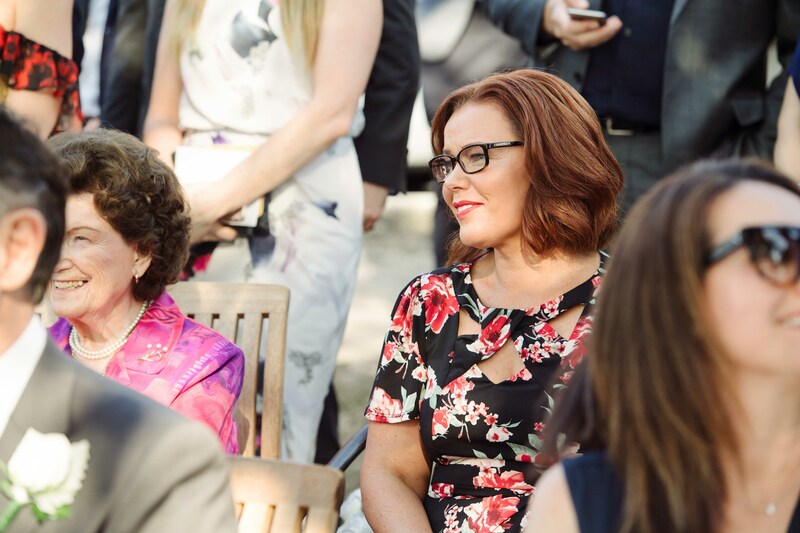 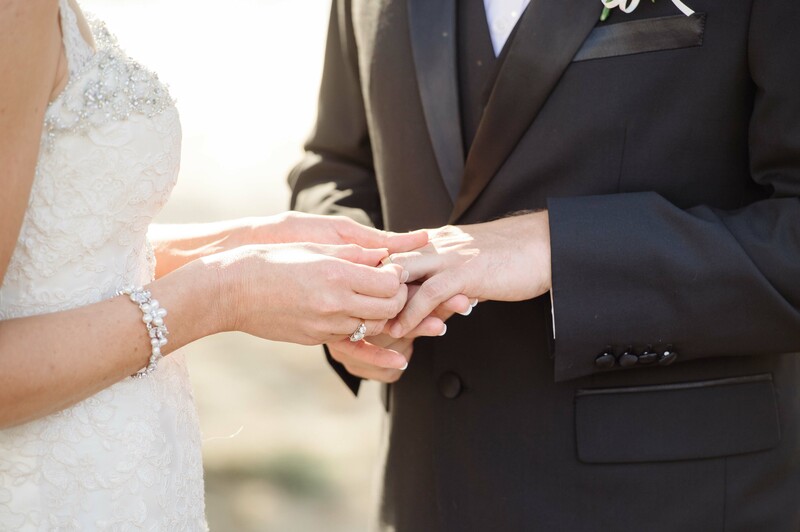 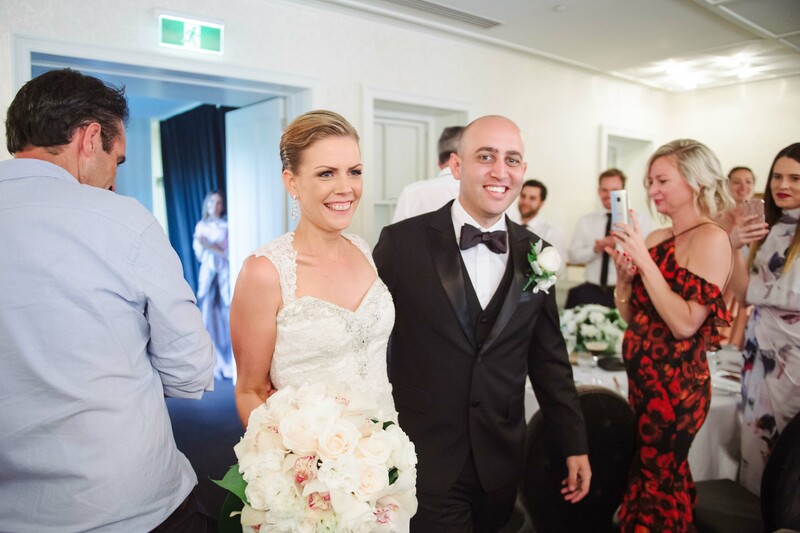 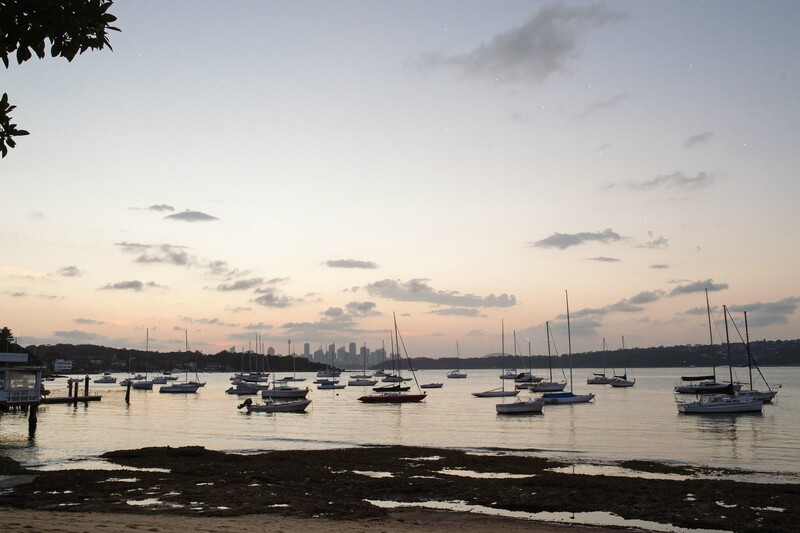 By choosing to hold the ceremony at 5.15pm, it meant the festivities occurred during the cooler part of the day, and also gave our Sydney wedding photography team the chance to capture some breathtaking sunset shots. 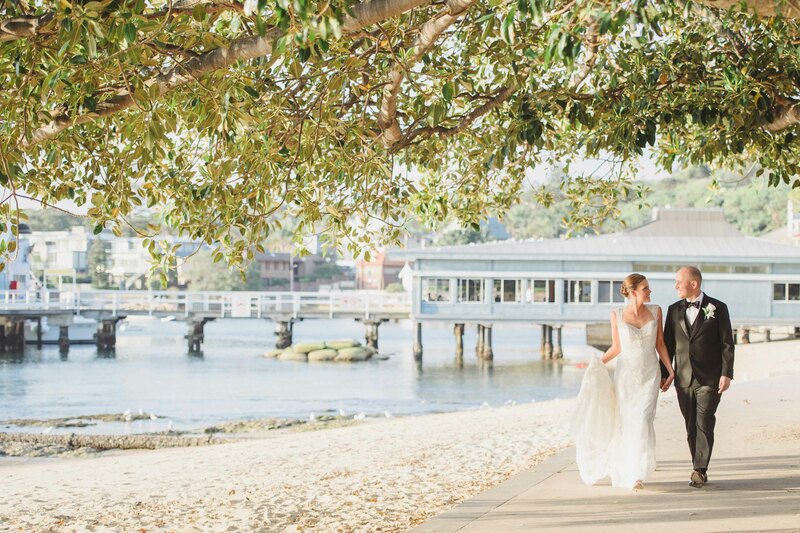 Following the ceremony, the couple were taken to nearby Camp Cove for a lifestyle photography location shoot, before re-joining their guests for a sit-down reception at Dunbar House. 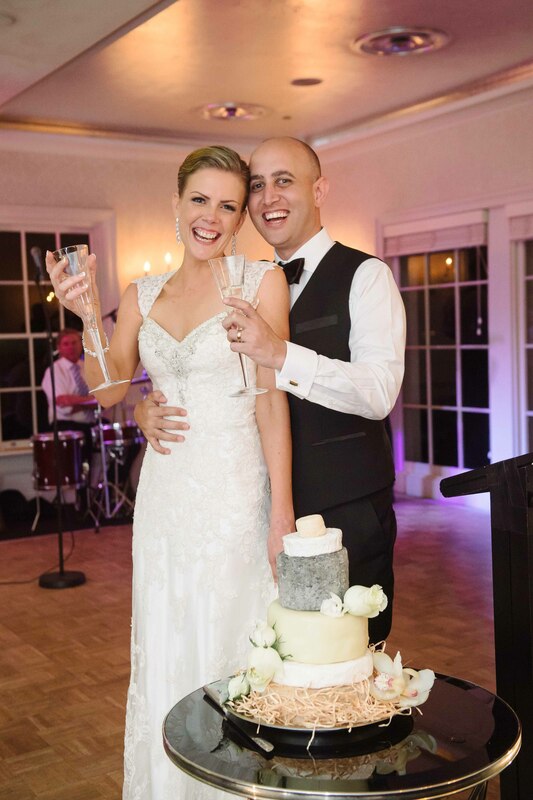 Instead of the traditional fruit cake, Dave and Erin opted for a “cheese cake” – with each layer a different type of gourmet cheese. 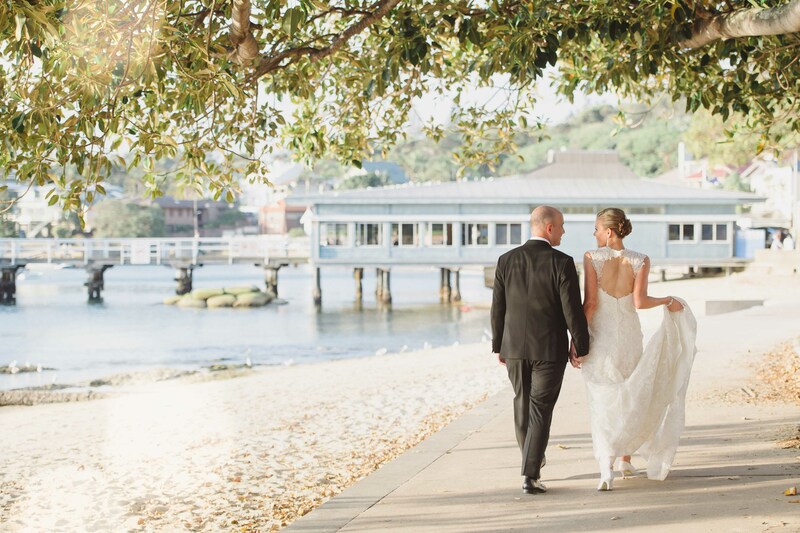 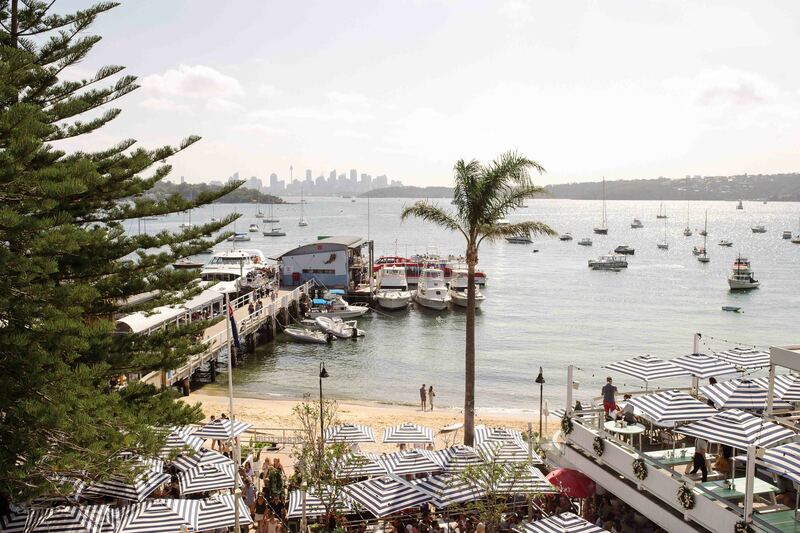 Although today it is a popular café, restaurant and events venue, during the course of the past one hundred and fifty years Dunbar House has also been home to not just some of Sydney’s most elite colonial families, but also a hotel, council chambers, zoo, open-air picture theatre and a library! 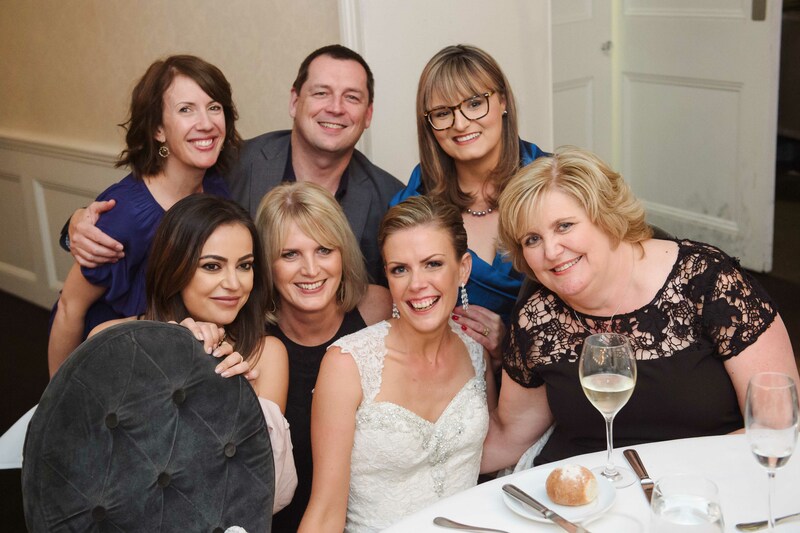 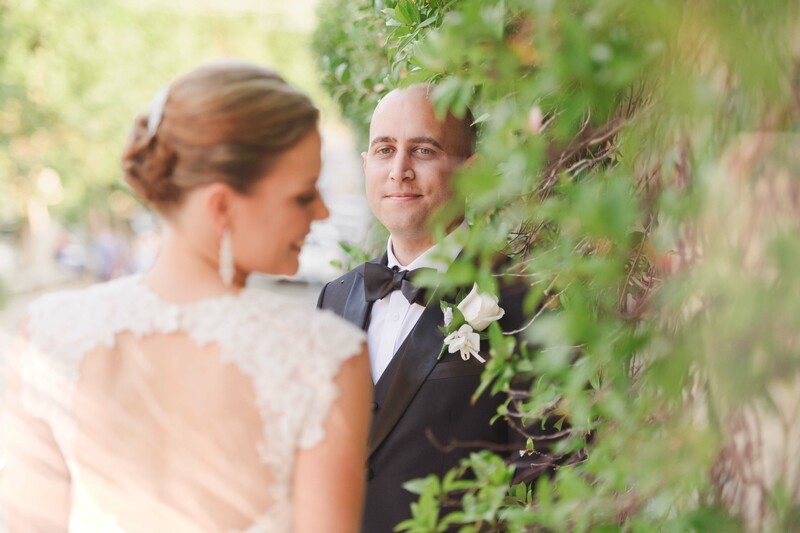 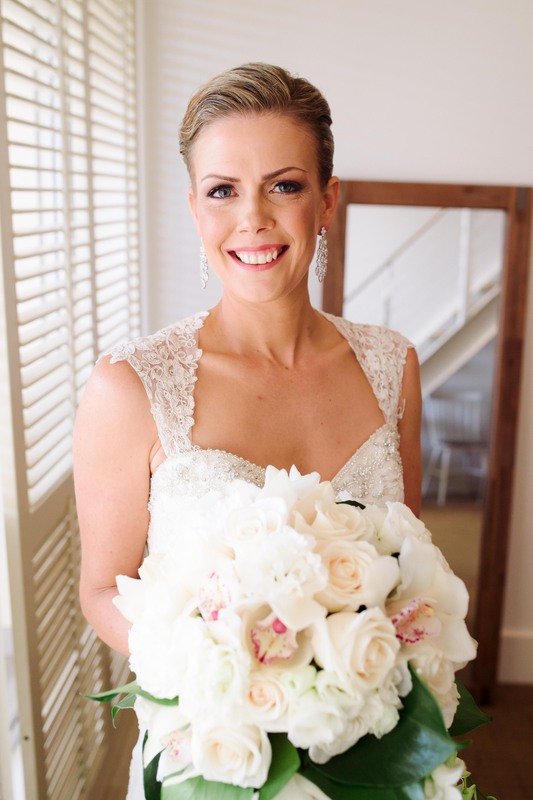 With her hair in a sleek chignon, and a dramatic cut-out at the back of her dress, the bride looked cool and confident despite the summer weather (and any pre-wedding nerves!). 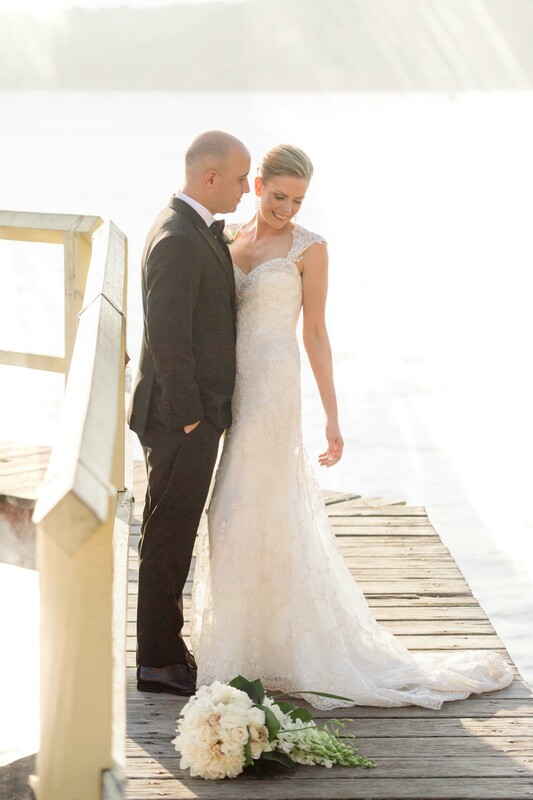 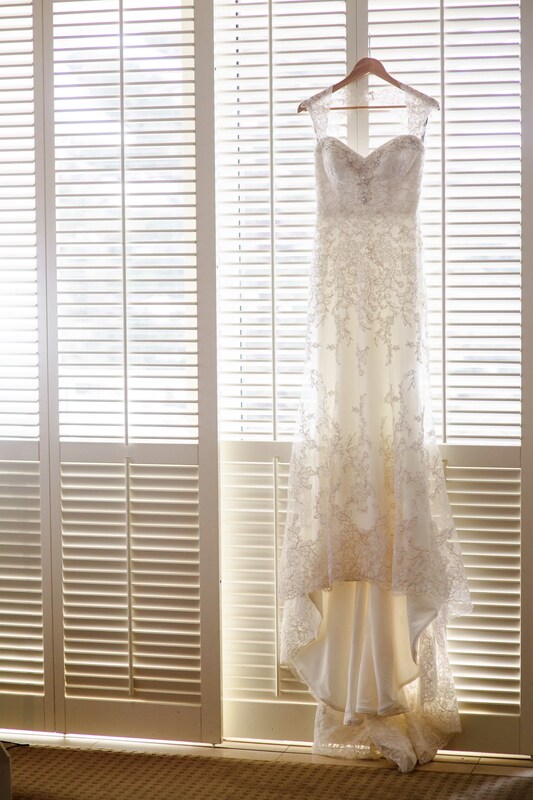 Erin was elegance itself in a romantic lace gown with satin underlay. 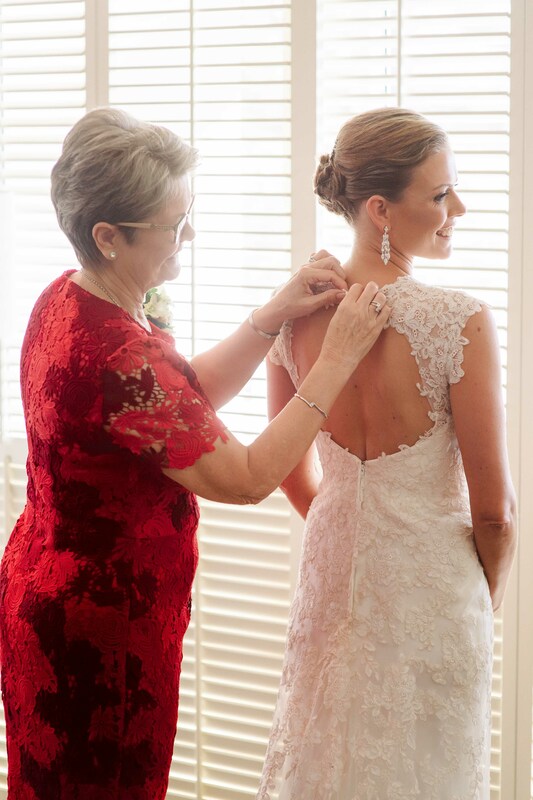 The sweetheart neckline featured diamante embellishments, as can be seen in these images. 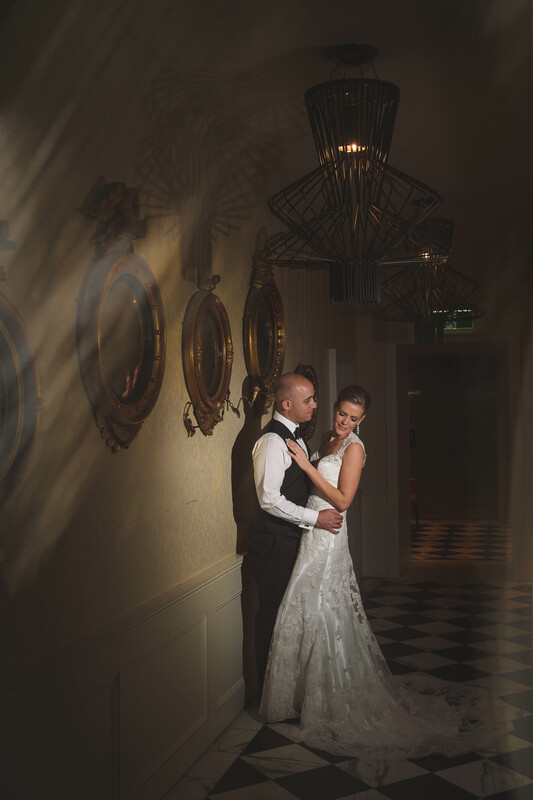 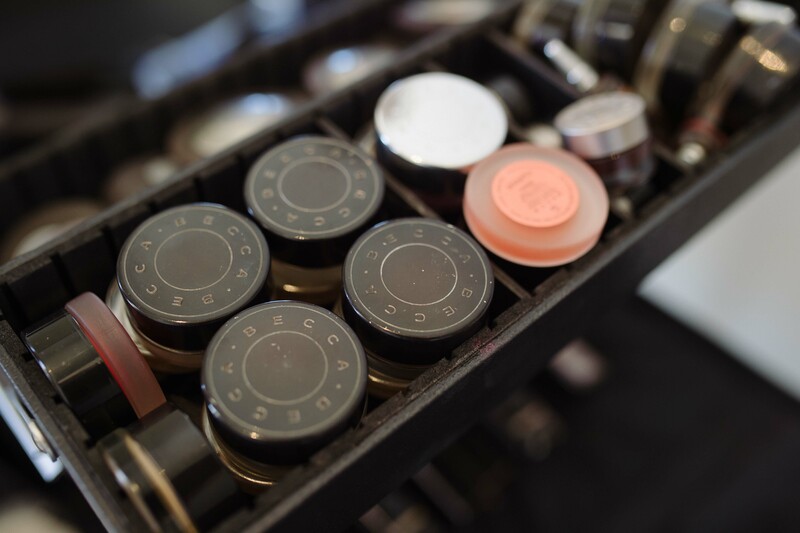 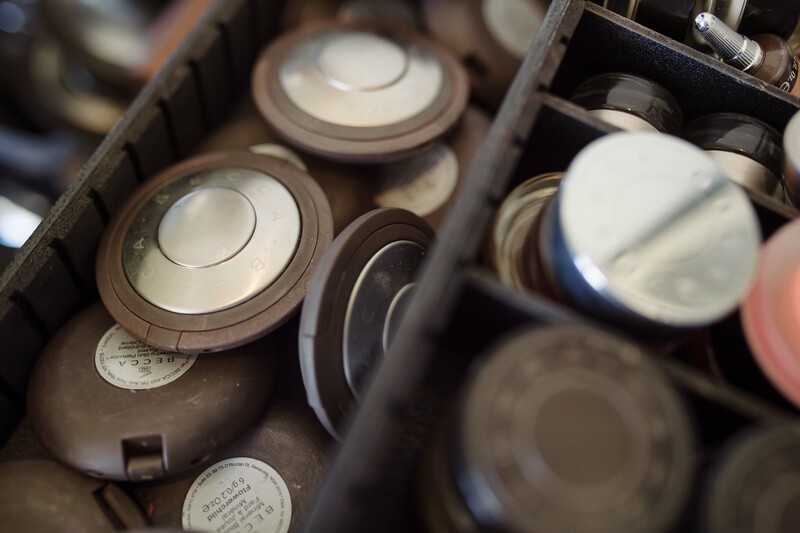 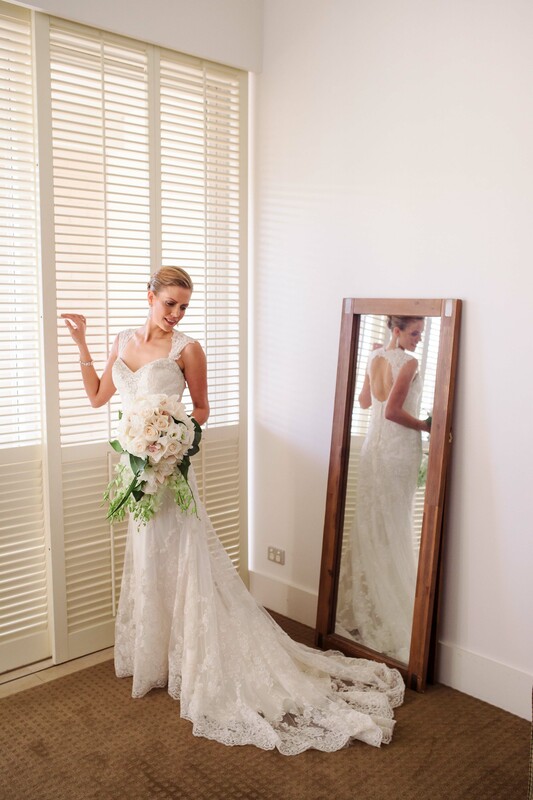 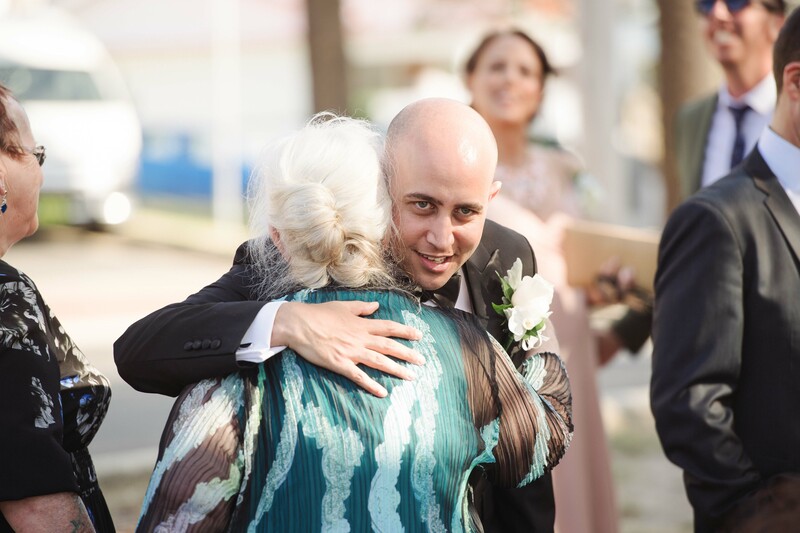 This is just one example of what you can expect when booking experienced professionals like Faure Valletta, one of Sydney’s best wedding photography studios. 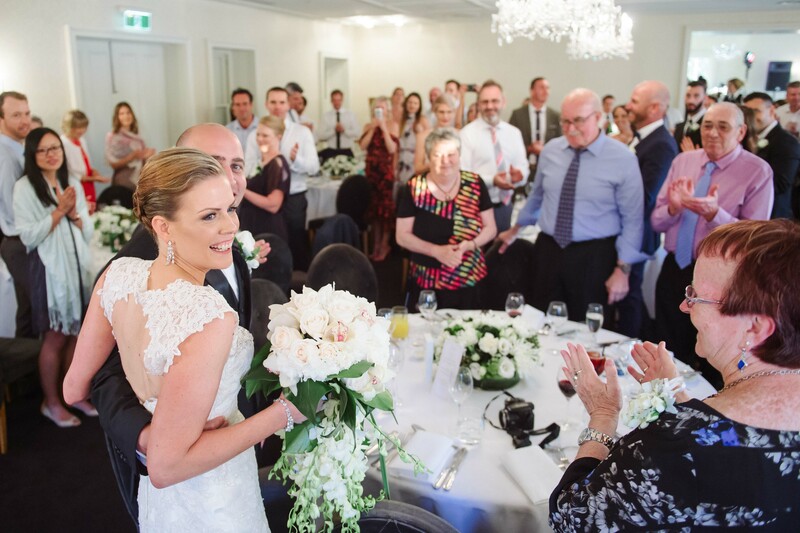 Otherwise, you risk photos that show nothing more than a “white out”, rather than every glorious detail of your wedding gown – possibly the most expensive dress you will ever wear. 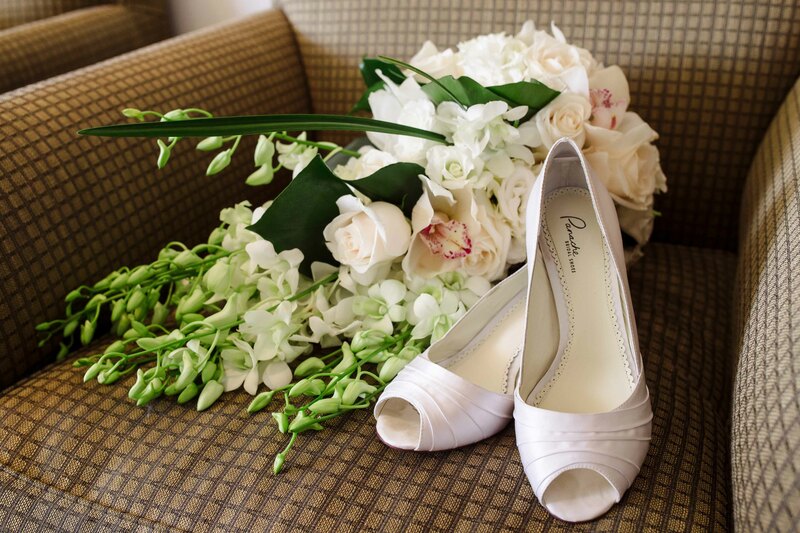 A picture may say more than a thousand words, but it seems the choice of flowers can communicate a lot as well. 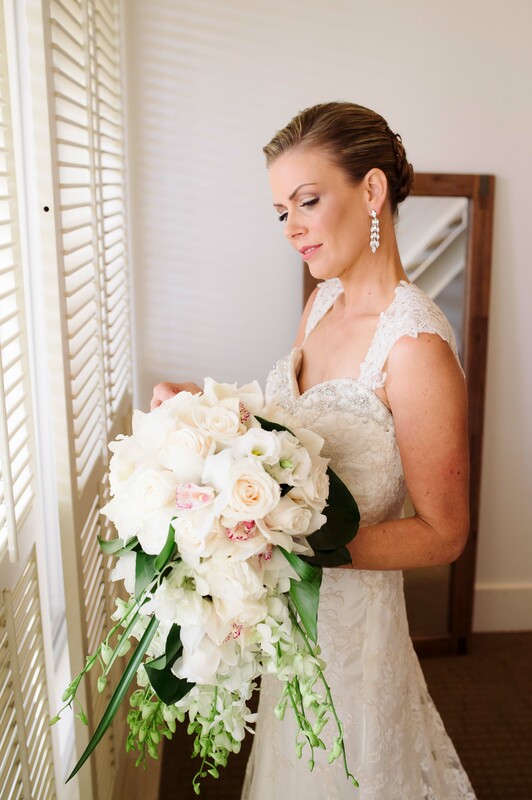 With a little bit of research, you can have a bridal bouquet that is not just beautiful, but which also allows you to “say it with flowers”. 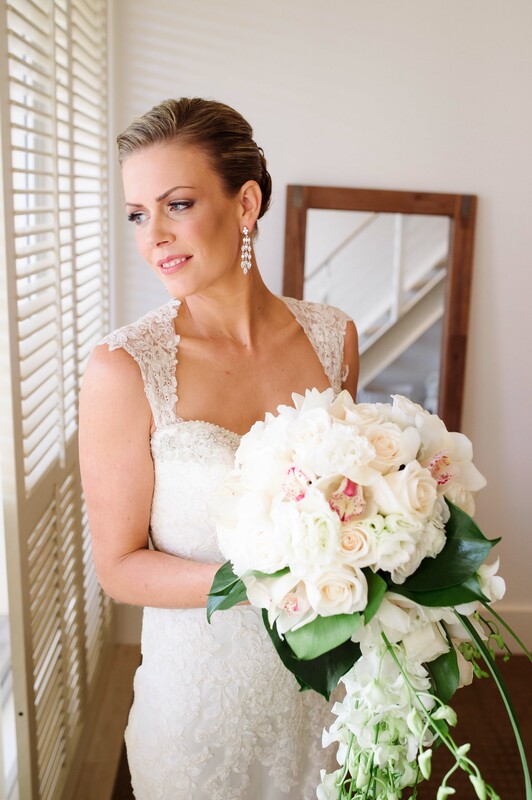 Both the roses and orchids in Erin’s bouquet for example, speak of innocence and purity. 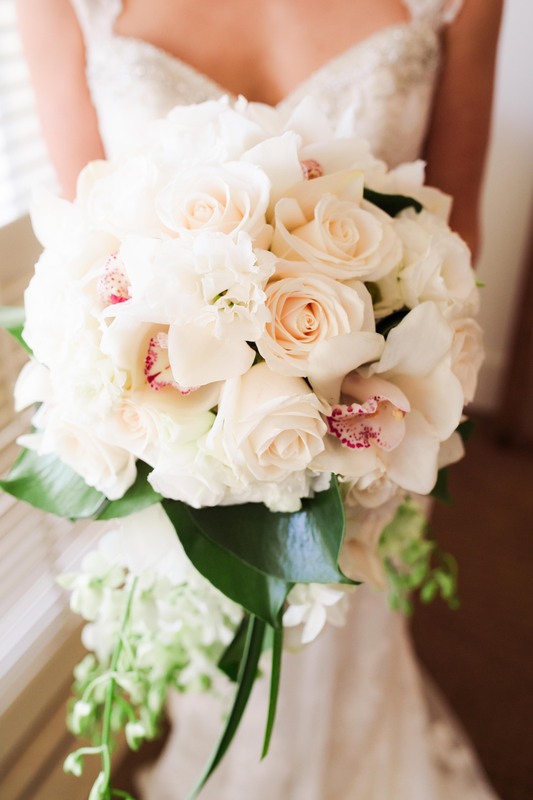 White roses also symbolise beauty, new beginnings, loyalty and true love, while orchids represent fertility, luxury and elegance. 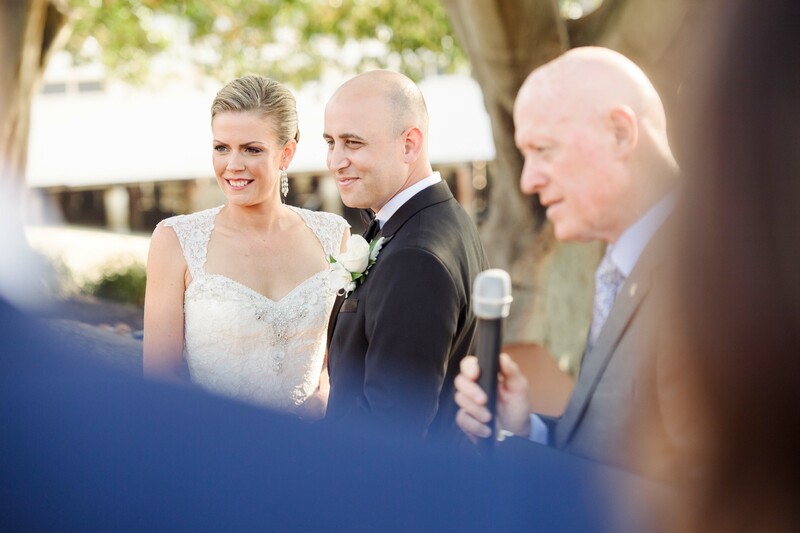 A most appropriate message for a wedding, wouldn’t you agree? 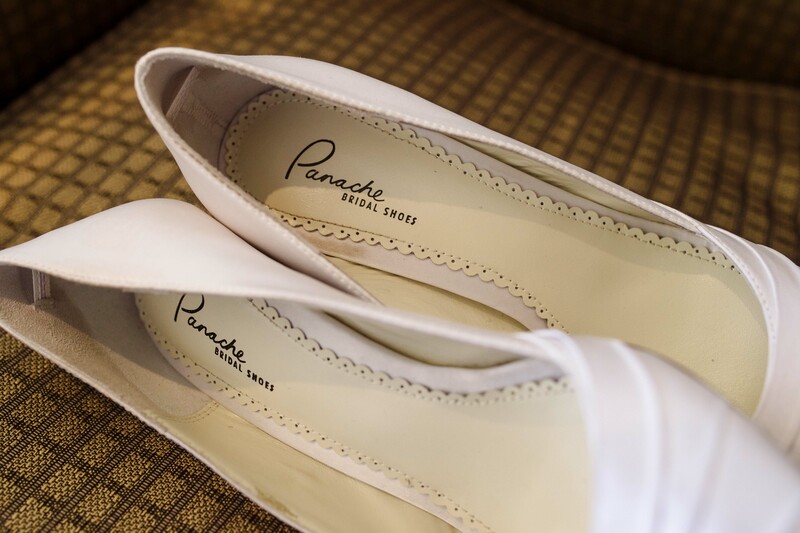 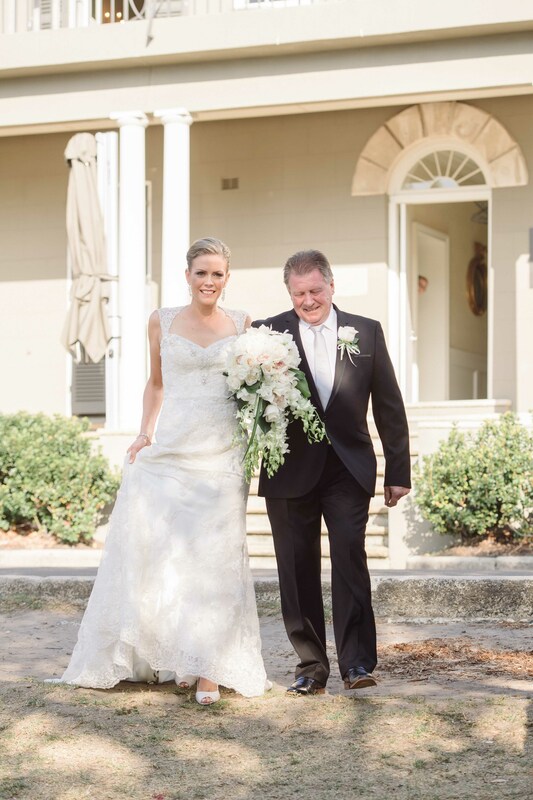 We hope that you enjoy this gallery of images from Erin and Dave’s special day.